Many successful people attribute at least part of their success to having a mentor. The right mentor can provide advice and connections that help their mentee reach heights that would be impossible alone. Here are some pieces of advice on mentorship, with perspectives from successful tech professionals who have seen its benefits firsthand. 1. Mentorship requires intentional investments of time and energy; you get what you put in. Being a mentee is not a passive role. When you have a mentor, it’s your job to define your own goals, cultivate the relationship, seek out advice, attend meetings or events you’re invited to, and so on. 2. Experienced perspectives are invaluable for young careers and companies. While mentorship can be valuable at any stage of a career, it’s especially important when the mentee doesn’t have as much personal experience in the industry. With a mentor, they can benefit from the insights gained through years of experience–without having to spend years of trial and error themselves. 3. The best mentors are the ones who can fill gaps in your skillset. Don’t seek a mentor who’s your clone. Every entrepreneur has their own strengths and weaknesses. And while mentors can certainly help make the strengths even stronger, it’s usually even more valuable to have someone who can give advice in areas where you’re struggling. 4. You don’t always have to follow a mentor’s advice–but listen to it and evaluate it. One important thing to understand about mentorship is that the mentor can’t live your life for you. They’re there to provide advice and perspective and make you think differently–not make unilateral decisions for you. “Counsel need not always be followed, but should always be carefully considered,” advises Caine. “The role of the mentor is to make you reflect, not to give you advice or answers. Helping you ask the right questions–that’s real mentorship,” explains Marten Mickos, CEO of HackerOne. 5. Anyone can be a mentor–even without knowing it. If you go through life with the perspective that you have something to learn from everyone you meet, you’ll collect a lot of informal mentors along the way. 6. Diversity of mentorship is important. It’s common to have one person you regard as a primary mentor, but that doesn’t mean you can’t seek out a variety of perspectives on a more informal basis as well. 7. There are specific things you can do to being a good mentee. Often, people consider the “burden” of mentorship to be on the mentor. But mentees can take responsibility for cultivating the experience of mentorship too. They thoughtfully select the right person. They establish the framework of the relationship. They work at the relationship. 8. Mentorship is beneficial for the mentors too. 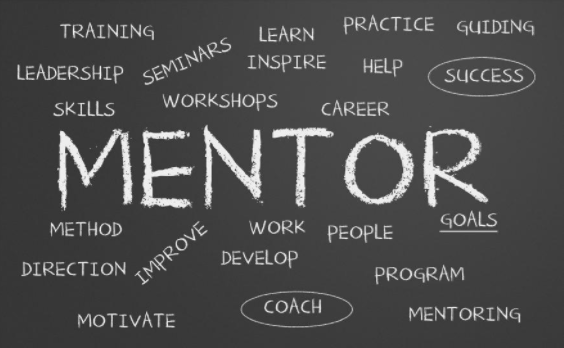 Finally, just as the responsibilities of mentorship are shared by mentees, the benefits are shared by mentors.